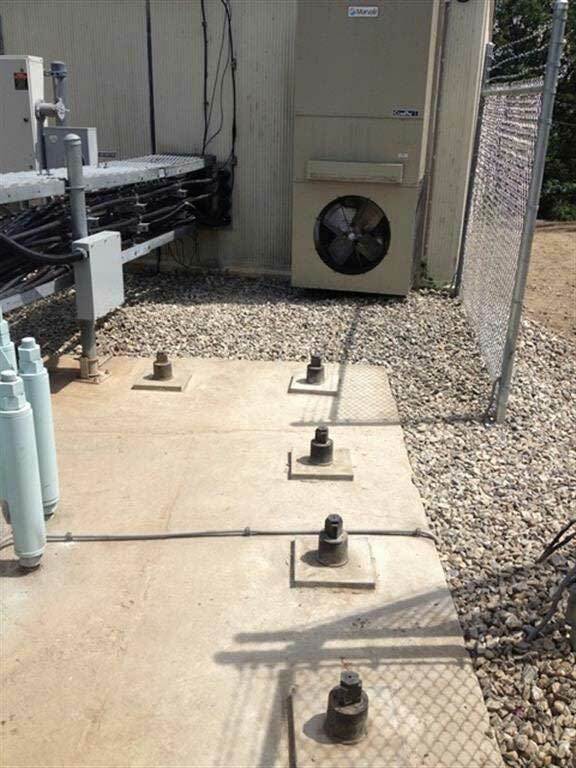 To drill, install, grout and pull test 16 rock bolts at an existing cell tower site. The site is located on top of Mt .Tom in Holyoke MA, and was an abandoned ski area. Access for the site was difficult. 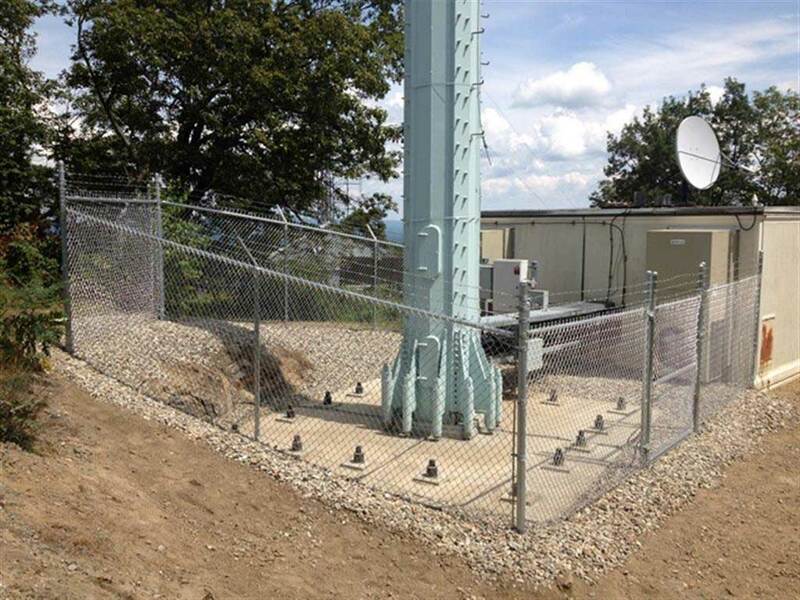 Low-beds could only get to within a half mile and then the equipment had to tram up a logging trail while moving around other cell sites and overhead power lines. Once at the existing tower, the work needed to be done within inches of the existing facility, and the facility needed to be operational. MD&B recognized the access challenges and brought in additional equipment, such as trailers and portable water tanks that could be moved with the drill rig to access the site. Our Job Hazard Analysis identified all hazards, including the tight conditions to the existing facility and other structures. We decided to use spotters for all equipment movements. A pre-construction meeting was held with the customer, so the customer could prep the area for the drilling operation. With MD&B and Eastern Communication working in tandem, the project was completed on schedule and without incident. I would like to commend the Maine Drilling & Blasting crew that worked atop Mt. Tom for us. This site was particularly challenging with very difficult access and adjacency concerns. They made it work, always with great communication and coordination with our team. The job was done on time, and the anchors tested with passing results upon the first attempt. Add to that mix, their very fair pricing, and Eastern couldn't go wrong with Maine Drilling."